Running every twelve hours on 7 hours of sleep leaves me A.) constantly hungry and B.) sleepy, until I’m ready to go to bed (like right now.) Oh and C.) a little moody (due to A. and B. – duh!) I take it one week at a time, until my summer job ends next week. But a much-needed boost came when I found out that two of my best friends from school were coming out to California this week! Post-workout fuel is almost as important as the workout itself. The actual “gain” from your workout comes from your muscles’ recovery from whatever you just traumatized them with. Muscles need to recharge too. There are a lot of fancy supplements, protein shakes, protein powders, energy drinks, recovery bars, blah blah blah. I’ve never really experimented with post-workout protein drinks (unless my chocolate-covered-strawberry smoothie counts). I prefer something natural – Fruit and Yogurt Parfait. Simple. 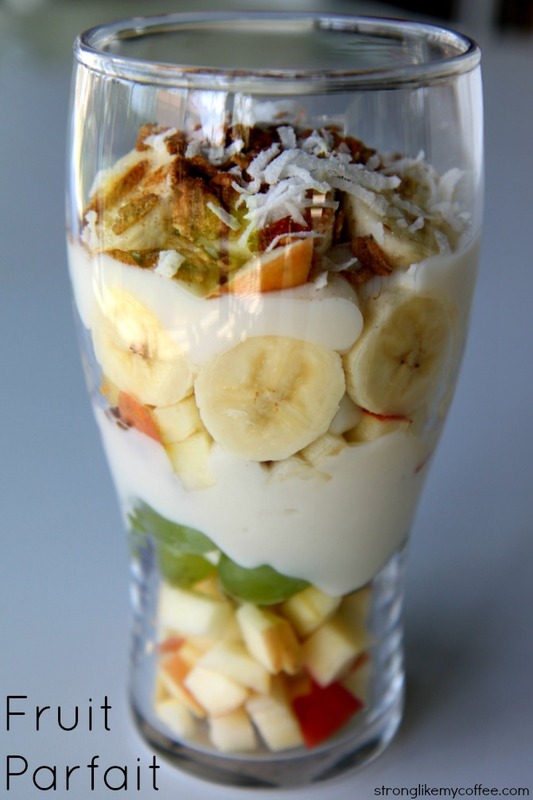 Pretty Parfait: fat-free vanilla yogurt, diced apples, sliced bananas, green grapes, flax seeds, cinnamon, shredded coconut. Yogurt contains the protein. Fruits contain the carbohydrates. Plus a dozen other vitamins and minerals. Yogurt covered with all these super-food toppings is not only wildly colorful but extremely healthy and filling due to the amount of fiber and vitamins. Rounded out with PB2 (this stuff is life changing! ), whole grain crackers and cuties to make it a meal (this is two yogurt parfaits pictured, just in separate-shaped containers). I have made it a mission to get the majority of my snacks from “clean” foods while in this peak training phase. Admittedly, I’m a huge fan of the convenience of grabbing a granola bar, bag of pretzels or box of cereal. But I’m trying to be more conscientious and today I’ve brought a slew of goodies to keep me full at work before I go out for my double run this evening. My thought process is this: Running as many miles and as often as I am understandably leaves me tired, particularly around 2pm when work slows down, the office is quieter and I just want to take a nap. Eating something sugary like a granola bar, trail mix, or worse – a candy bar – comes with the inevitable “crash” further extending the sleepiness effect. We eat more when we are tired, mistaking exhaustion for hunger; the cycle is perpetuated. Knowing I have a second run after work, I want to make sure I’m energized and alert. Today I brought myself options! 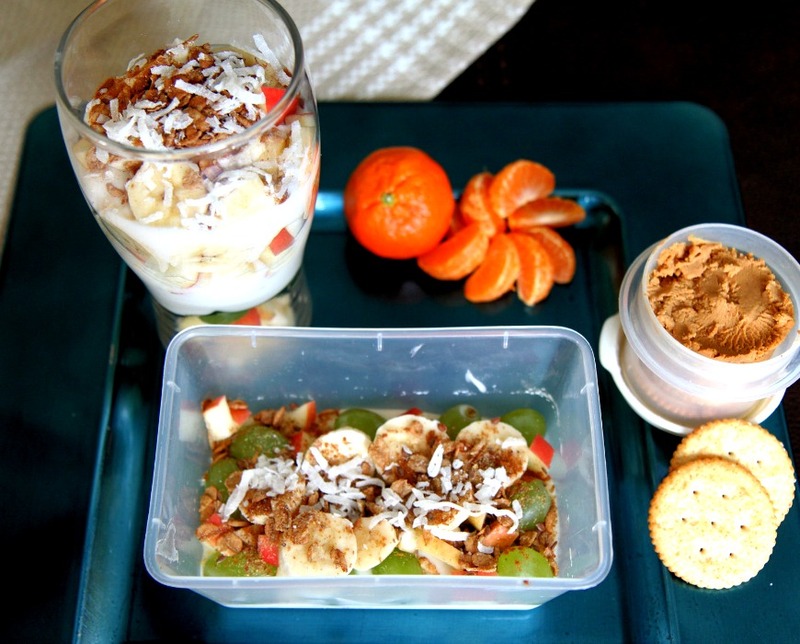 Banana, apple, nectarine, plum, bell peppers, cucumbers, Greek Yogurt, oats, almond slivers. 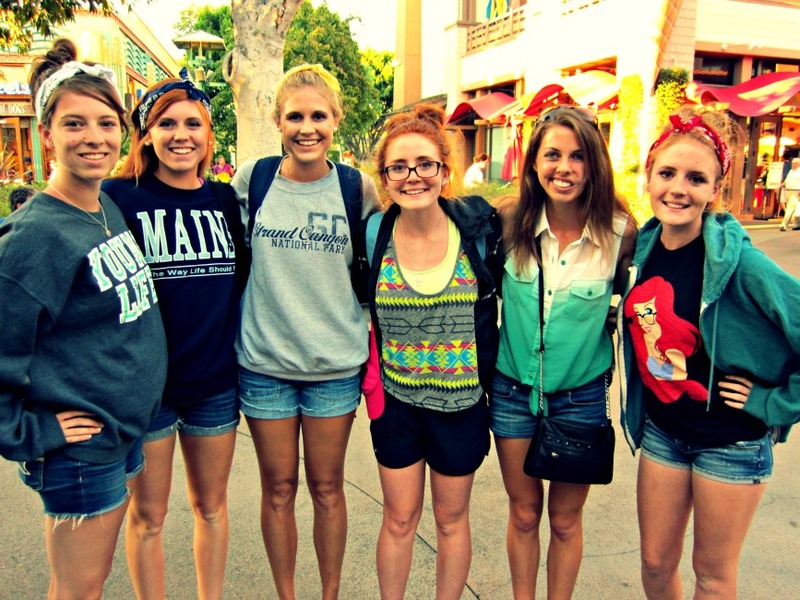 Posted on August 6, 2013, in College, Dining Out, Fitness, Healthy Habits, Real Life Stuff and tagged clean eating, college, Cross Country, disneyland, exercise, fitness, Food, health, pb2, running, snacks, summer, yogurt parfait. Bookmark the permalink. 2 Comments. You are such a beast Kenz! Amazing improvement on your temp run. :) I too, am in favor of the 2pm “enforced nap time”. Wonder if HR would consider implementing it??? :) Today is a “fun side of the closet” day for you – enjoy it to the fullest.